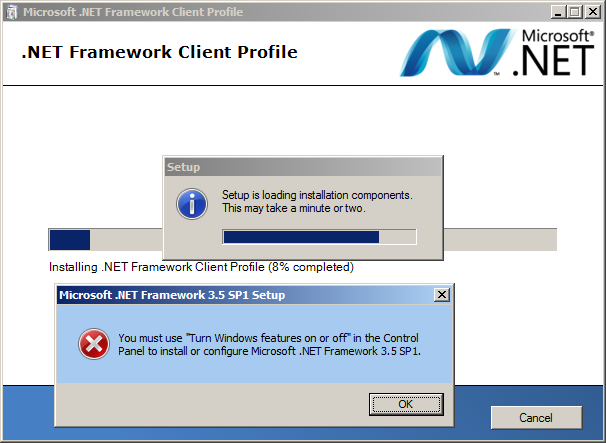 ERROR: "You must use "Turn Windows features on or off" in the Control Panel to install or configure Microsoft .NET Framework 3.5 SP1." What does this error message mean? What should I do? Did you try going to the Control Panel, finding "Turns Windows features on or off", and finding "Microsoft .NET Framework 3.5 SP1" in the list? There is no such item in the list. 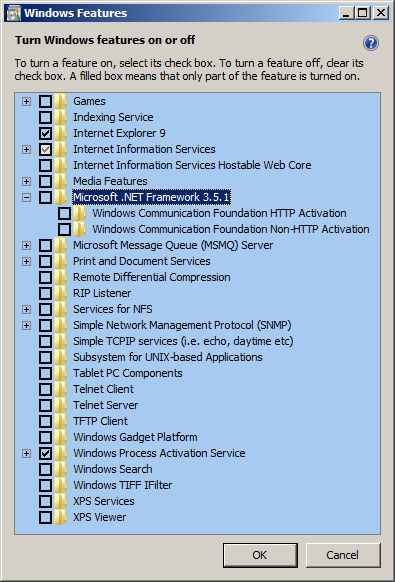 There is no item related to .NET version 3.5. Are you looking in "Turn Windows features on and off" or in "Programs and Features" at the general list of programs that can be uninstalled? The two are very very different, although nearby each other. What do I do here now? You click the checkbox and then you click OK.